The Three-Bin Storage Cubby is a sturdy, stackable, modular storage solution to keep all items neatly organized and out of sight. This stackable storage bin can be used to store books or magazines, toys, clothes, shoes and boots, winter accessories, sporting goods, videos/DVDs/CDs, craft supplies, and more. The three-bin design helps you to efficiently sort the items for easy access. The bins feature a wide opening, so it is easy to take things in and out. Cleaning this wooden storage cubby is as simple as wiping it with a damp cloth. Features three very generously sized open bins that can be stacked with other bins to expand your storage capacity. Wide mouth bin openings make it easy to load and unload. 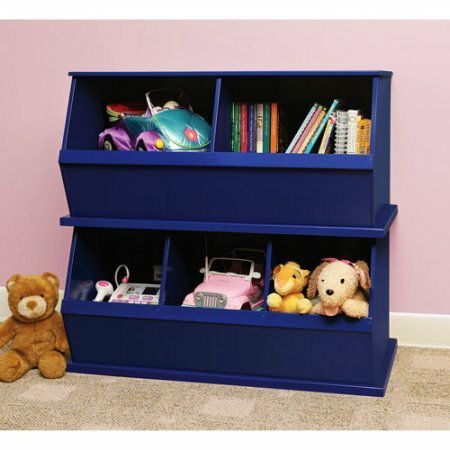 Solid panel construction ensures that your child's stuff stays inside the unit. When stacking multiple bins, you must always use the included safety brackets to secure the units together. All customers receive our Expert Guide about Better life from X Trade Store. If you have any questions about this product by Home X Style, contact us by completing and submitting the form below. If you are looking for a specif part number, please include it with your message.